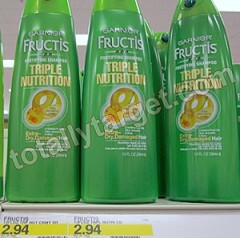 Garnier Fructis Shampoo only $0.94 w/ Coupons! If you're in need of shampoo/conditioner, you can get a pretty decent deal at Target! = $0.94 after stacked coupons!